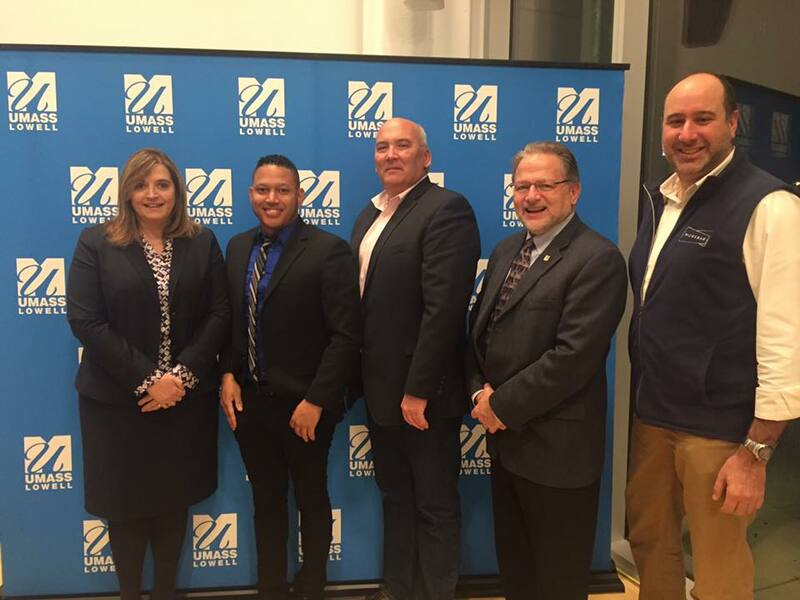 On Thursday, December 8, 2016, the College of Fine Arts, Humanities, and Social Sciences at UMass Lowell hosted the annual Creative Venture Competition. Five student teams were selected from a pool of applicants to pitch their idea in front of community and alumni judges at this year’s competition. 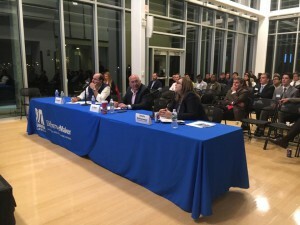 On the panel of judges were Danielle McFadden, Glenn Morgan, and Stacie Hargis. 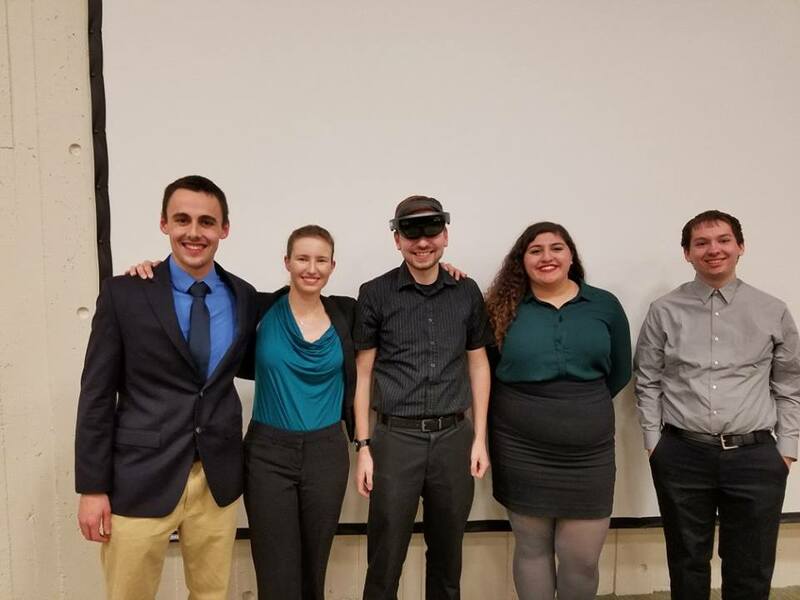 The five student teams chosen to pitch at this year’s competition were Cyborg, LoreBooks, Royal Bear Wear, SEAable, and Share the Sound. After pitching, the judges deliberated and provided feedback to each team prior to announcing the winner. 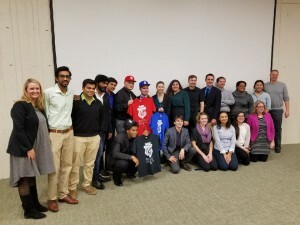 Team LoreBooks won first place, a $5,000 prize! 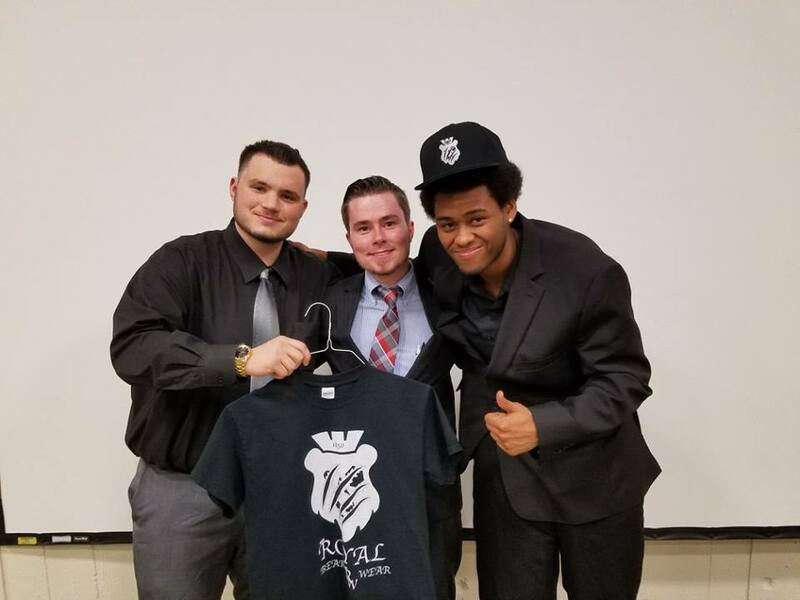 Each of the other teams, Cyborg, Royal Bear Wear, SEAable, and Share the Sound were awarded $250 each. We encourage any interested students to apply to the 2017 $50,000 DifferenceMaker Idea Challenge! Applications are now open and close on February 13. 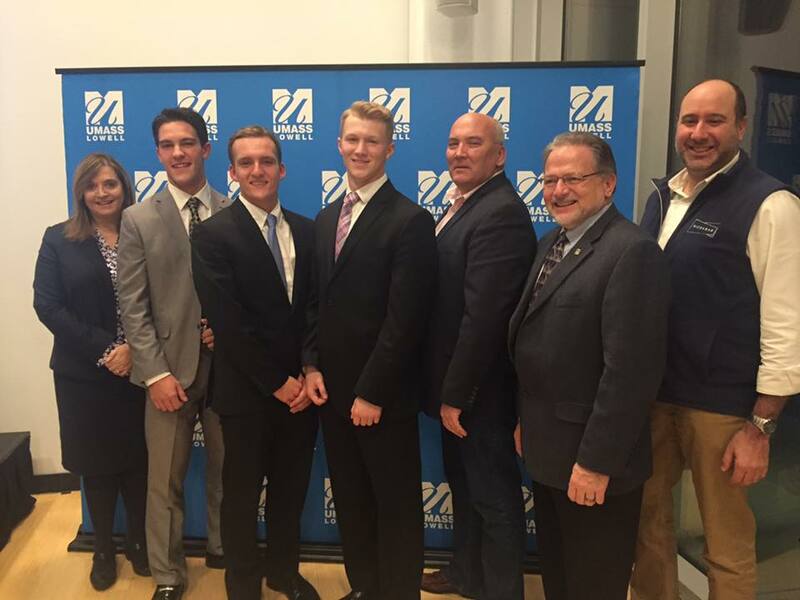 On Wednesday, December 7, 2016, UMass Lowell’s Francis College of Engineering hosted the Engineering Prototyping Competition in the Saab ETIC on North Campus. 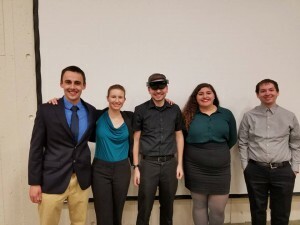 Student teams who developed prototypes over the course of the fall semester presented their projects to several alumni judges. During the preliminary round, judges visited the presentations of each team and then deliberated to decide which teams would compete in the next round where pitches were made to another panel of judges. 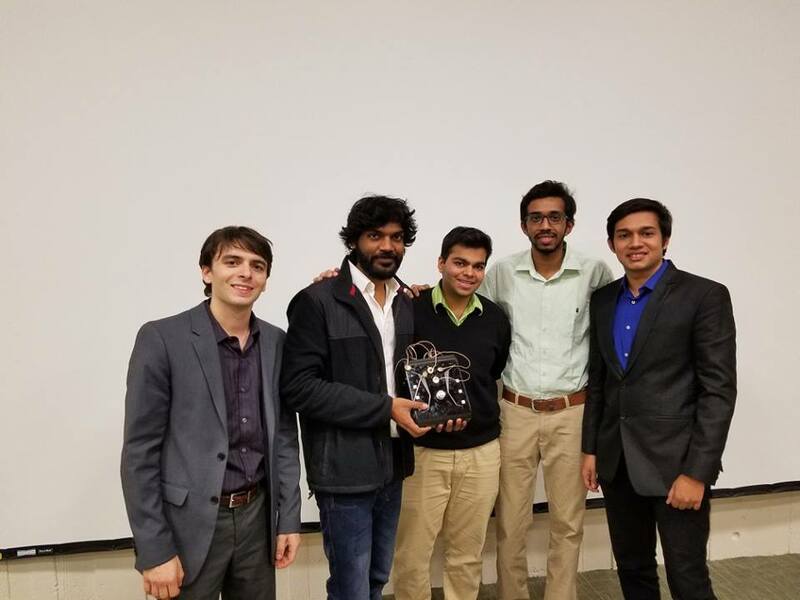 The 1st place winner of the Graduate Award was team Cyborg consisting of Jishnu Menon Asokakumar, Ram Das, Adam Ferguson, Chandra, and Chiren. 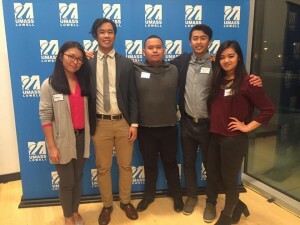 The team was awarded $1,000! 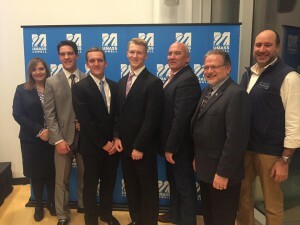 At the undergraduate level, the 1st place winner was Project Starfish consisting of team members Travis Kessler, Christopher Johnson, Gregory Dorian, Maxwell Roy, and Roma Aurora. 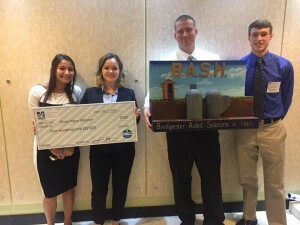 The team was awarded $1,000! The 2nd place winner of $750 was Breezy with team member Anne Faber and advisor Scott Stapleton. 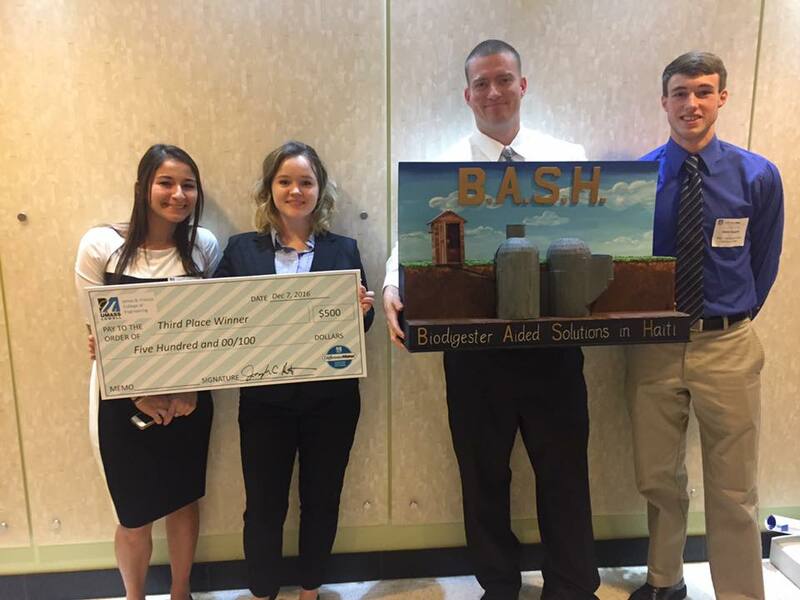 The 3rd place award was team BASH – Biodigestor Aided Solution in Haiti with team members Michael Doane, Nicole Belanger, Owen Gannon, Alanna Grondine, Kayla Dooley, Maureen Kelly, and Jeff Beck. 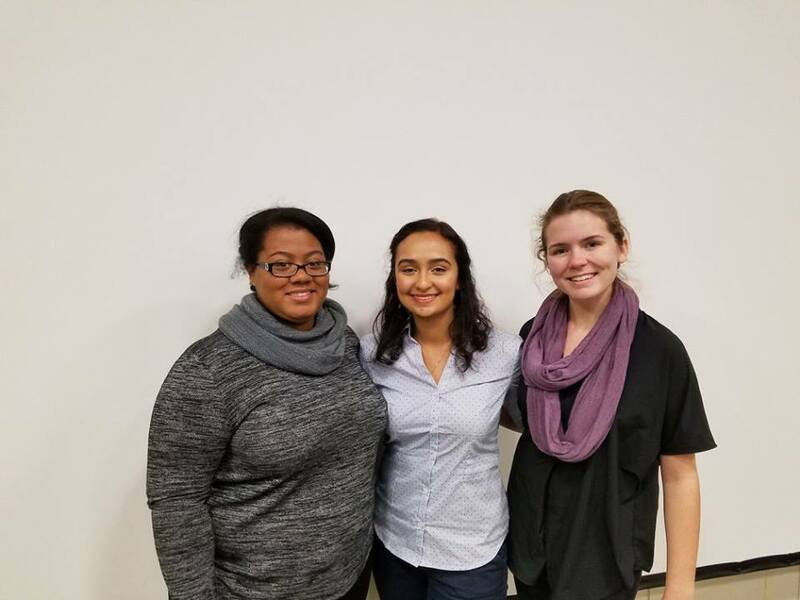 The Honorable Mention winner of $250 was a team that developed a Multi-Dose Auto-Injector! Congratulations to all winning teams! Also, we would like to thank all of the judges that provided their thoughtful insight and expertise! On Thursday, December 1st, Digital Federal Credit Union and the Manning School of Business hosted the annual DCU/MSB Innovation Contest. Earlier in the semester, student teams applied to the competition with an idea they had related to banking. 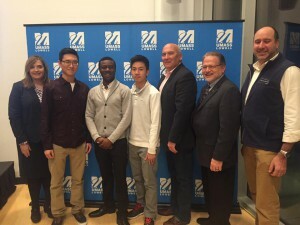 Over a dozen teams applied and five were selected to compete and pitch their ideas to a panel of judges. 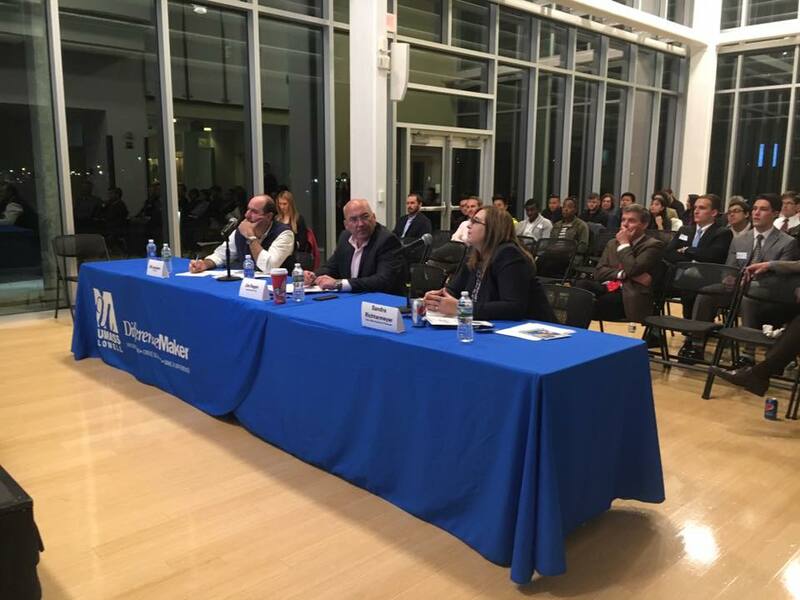 We had three judges for the competition: Bill Jacobson – CEO, Workbar, Jim Regan – President & CEO, DCU, and Sandra Richtermeyer – Dean, Manning School of Business. Semifinalists competing in the DCU/MSB Innovation Contest were Finance for All with team member Nikquania Gamble, “PiggyAPP” for Kids with team member Yomar SalazarReyes, Student Financial Advising with team members Brandon Luitweiler, Joshua Masse, and Will Puduski, and Student Financial Finesse Made Easy with team members Mirkens Paul and Aaron Tam. Each team member was awarded $100. 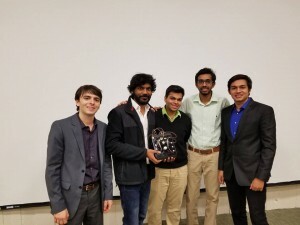 The winner of this year’s competition was team Digibank and their idea to help rid consumers and the environment of loose change by having leftover change from a transaction deposited directly into a bank account! Team members included Channou Aing, Virath Chea, Siven Hang, Cullin Lam, and Chanmary Lau. 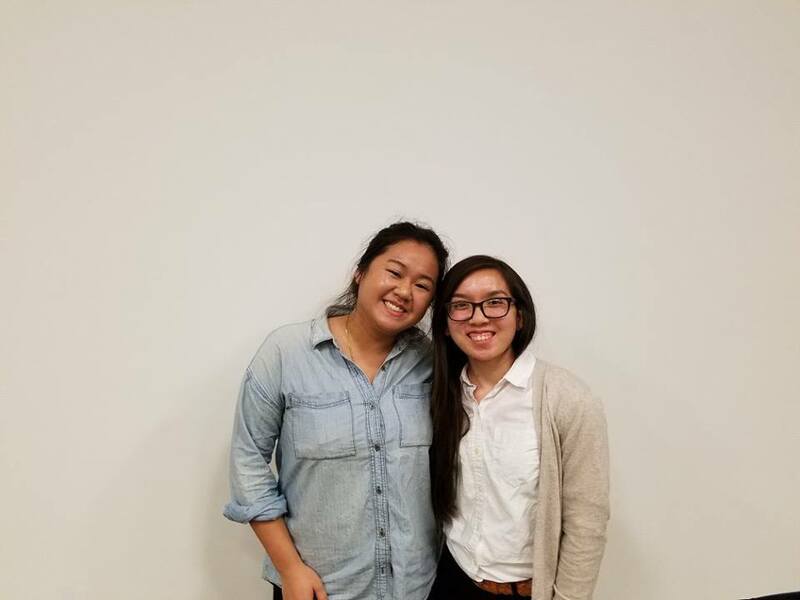 Each team member was awarded $500! $3,700 was awarded to student teams overall! Great job to everyone who participated and congratulations to this year’s winners! A special thank you as well to our judges!